Many people just do not understand what it means to be polygamous. As a result those who do not conform to standard and normalized monogamy are often questioned and seen as confused or crazy. This should not be the case. Why does there have to be a right and wrong? A good and bad? Love and relationships should be something that is personal and personalized. No one should feel they need to explain their decisions to others, and no one should experience someone telling them what they feel is wrong. 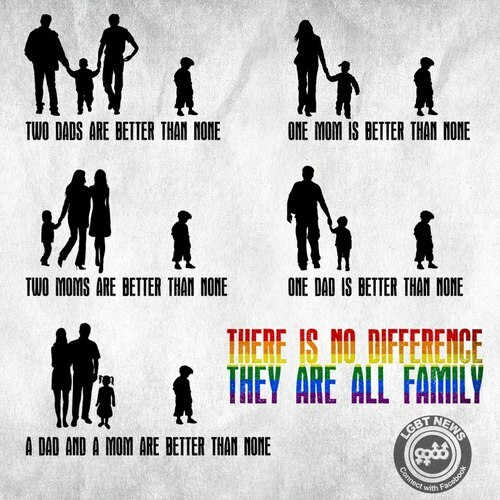 I hope for a society that can one day accept all types and forms of love. These phrases are often spoken by those who are ignorant, uneducated, or bigoted and are not only false, but extremely hurtful and problematic. Eisner discusses many of these harmful stereotypes in her article entitled “What is Bisexuality?”, in which she highlights several definitions of bisexuality (while not claiming any or all are correct or true for everybody), its’ progression throughout history in social movements and inclusion within society, the problems associated with its understanding in society, and many of the stereotypes surrounding it. Focusing on this latter issue, Shiri Eisner argues that these stereotypes exist essentially because bisexuality threatens the normal order of society. 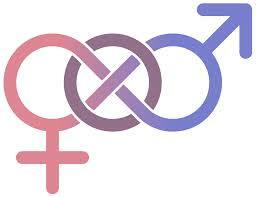 By analyzing bisexuality within the larger sociopolitical structure, and examining the power relations that exist, which have led to its existing conceptual sociological framework, she contends that we as individuals must open our eyes to the deeper and interconnected goings-on that lead to today’s discourses and perceptions. Interestingly, Eisner seems to embrace these understandings of bisexuals as confused and indecisive in arguing that these elements are in fact a representation of fluidity, which in turn demonstrates a “refusal to conduct ourselves through society’s narrow constrictions” (2013:44). In this way, Eisner is taking the negative associations that society places on bisexuals and turns them into a positive and empowering discourse in which bisexuals can embrace their difference and connection to society. For those of you reading this who may have not known some of these statements are hurtful, education is empowerment. Reading up on the subject more can only lead to more insightful, educated, and open-minded thinking, which in turn will lead to a better society and world. After a decade-long struggle, Toronto will be the first North American city to finally get a homeless shelter for LGBTQ youth who are transitioning. The development of this shelter has emerged alongside the approval of a new budget that aims to improve counselling and outreach services for homeless LGBTQ youth. There is a ton of work that needs to be done still for those who are most at risk, however this is a great step in the right direction. As a side note, it is important to understand and analyze the larger issue at hand here. Why is it that LGBTQ youth are disproportionately represented in the homeless community? Is this because of parental attitudes? Social stigma? Systemic injustices? All? None? How can we, as individuals, make more of a difference in our cities and areas to improve circumstances and living situations for these at risk youths? There are some really important questions that deserve exploration. Even though advocates still say this is not enough, it is a great start. Perhaps, it is what is needed to get momentum going on continuing progress in Toronto, and other cities across the country! Thanks to Krystle for bringing my attention to this article! 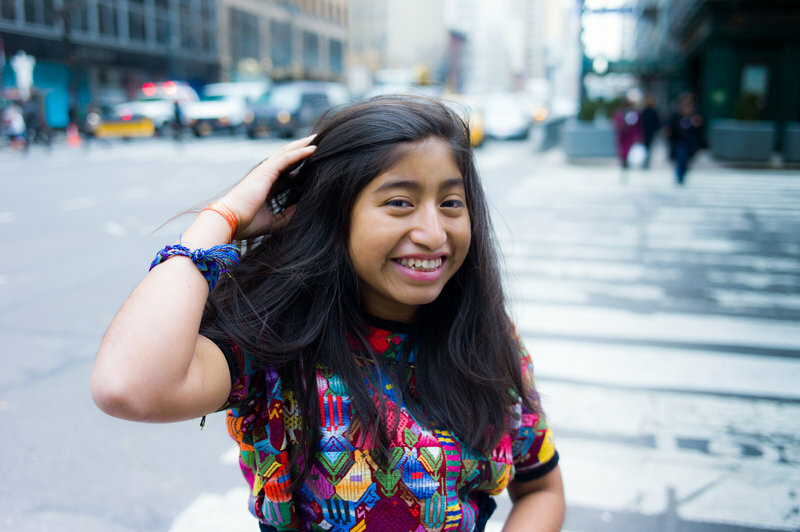 Meet Emelin, a young and remarkably voracious feminist who has taken her fight for equality for young girls and women in her town in Guatemala to the UN. She recently gave a speech at the UN about the struggles faced by young women in her community, which she says are “early pregnancy, sexual violation and a lack of education and health care”. Emelin was first laughed at by the mayor of her Guatemalan town when she asked him to help the girls and young women in her town by providing better health care. However, a year and a half later, she and a friend succeeded in persuading the mayor to enact policies that would help with these obstacles. Speaking in front of the UN now, Emelin hopes to continue making changes to create better lives and opportunities for the girls and women in her home town! Clean and Clear has named 16-year-old transgender teen Jazz Jennings as the name of their new “See The Real Me’ ad campaign, which aims to promote natural beauty. While Clean and Clear can certainly be critiqued for predominantly using young, white, able-bodied females in most of their ads, this most recent campaign does show some positive changes and efforts. Not only does Jazz represent minority figures in the media, but she represents transgendered individuals in the media as well. At the young age of 16 she is helping to promote equality and self-acceptance to young boys and girls all over. Taken from sogaysoalive tumblr account. 5,000 Chinese labour workers recently went on strike demanding that their employer pay all of the government-mandated monthly housing allowance they have been likely deprived of for several months. This story relates back to both the themes of globalization and migrant workers, as well as social activism. As is already known, factory work represents a very unjust, imbalanced and dangerous field of work, particularly in more remote and less-developed areas. The workers described in the article work in a Chinese factory in the city of Dongguan, making shoes for companies such as Nike, Timberland and Kenneth Cole. By coming together and collectively going on strike, these individuals actively demonstrate the power of the masses in creating change, or at least highlighting injustice. The size of the group of workers forced officials to pay attention and respond to their plight. Right now it is unclear whether these workers will be paid what they are owed, but the collective advocacy highlights the importance and ability of the masses in gaining power and creating change! Further, this strike is just one of many that Zhang describes in his article have resulted in Southern China (among many other areas) because of ongoing economic recessions. So, it seems important to take a more global perspective in examining not only what is occurring in this city, but what the global and local circumstances are that lead up to this event unfolding.